Thanks to its great performances in the fields of urban size, operational cost and innovation capacity, Shanghai, after three years, recaptured its title of best city for business on Chinese mainland in 2012, according to a report released by Forbes China on Wednesday. Hangzhou, which ranked third last year, overtook Shenzhen and went up to second place. Last year's winner Guangzhou dropped out of the top three in 2012. The 2012 ranking saw a strong presence of cities located along the Yangtze River Delta, seizing a total of six places in the top ten. In comparison, the cities of the Pearl River Delta only managed to occupy two slots in there. According to the report, this year's ranking, the ninth of its kind, evaluated 100 cities on Chinese mainland according to eight business criteria, including labor index, urban size, spending power, passenger transport, freight, private economy, operational cost, and innovation capacity. 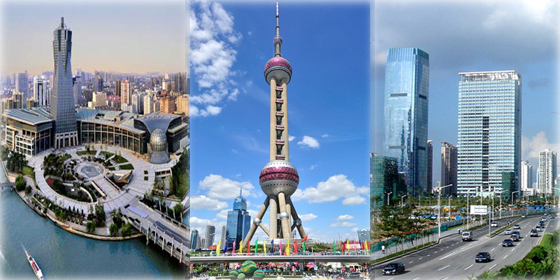 Shanghai, Hangzhou and Shenzhen are named the best three cities for business on Chinese mainland in 2012.